Back in high school in Milwaukee, Wisconsin, my little brother Michael and I would race home to the kitchen impatient and ravenous for sustenance. For me, I needed to calm the storm of angst and hormones feverishly brewing inside. For Michael, to refuel the enormous man-boy body he possessed by age 14. But those times are ones that I will cherish forever. We became friends in the kitchen- talking about life and the ladies and whatever else was on our plates. 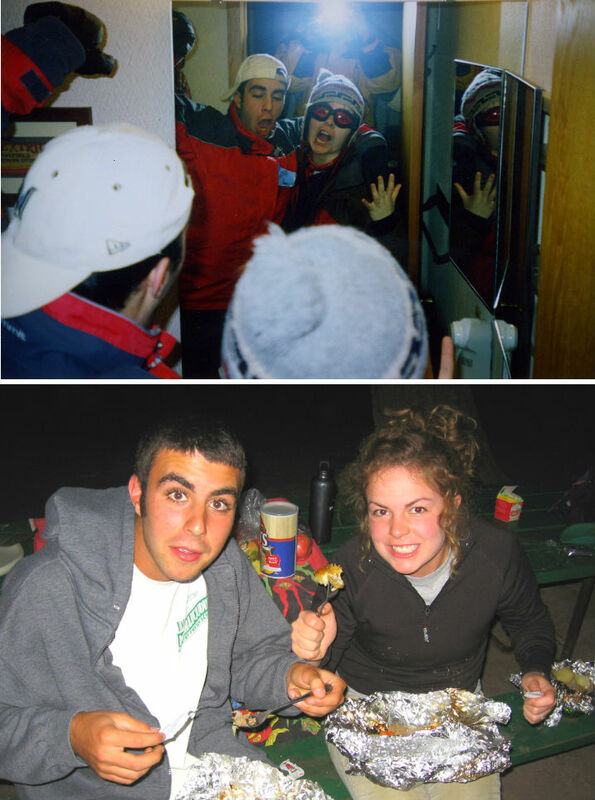 It was in the kitchen where we once made the pact to “Never Be Normal” and shook on it. Was our salsa “normal?” Au contraire! It was simply revolutionary! (Or at least that’s what we thought.) 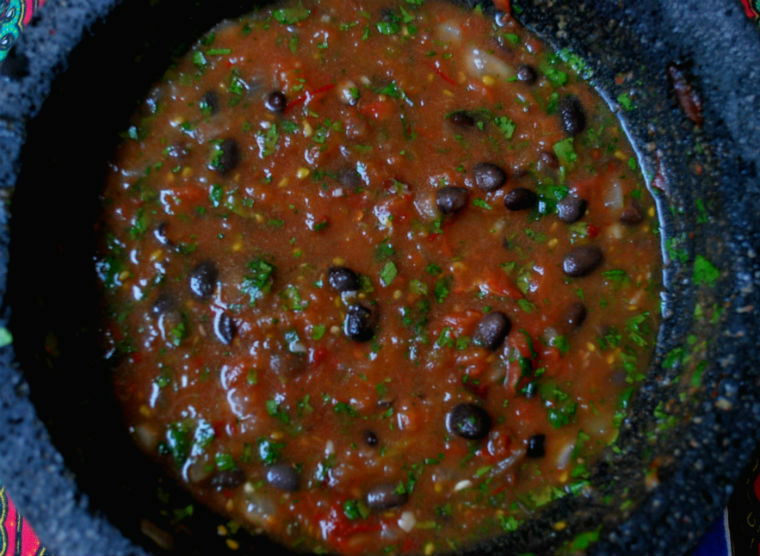 So this recipe for homemade Chipotle Black Bean Salsa is an ode to you, my dear brother. I hope you all enjoy this simple, brilliantly satisfying, and very “un-normal” salsa and healthy baked tortilla chips. For the salsa, first place tomatoes and serrano chiles in a pot and cover with water. 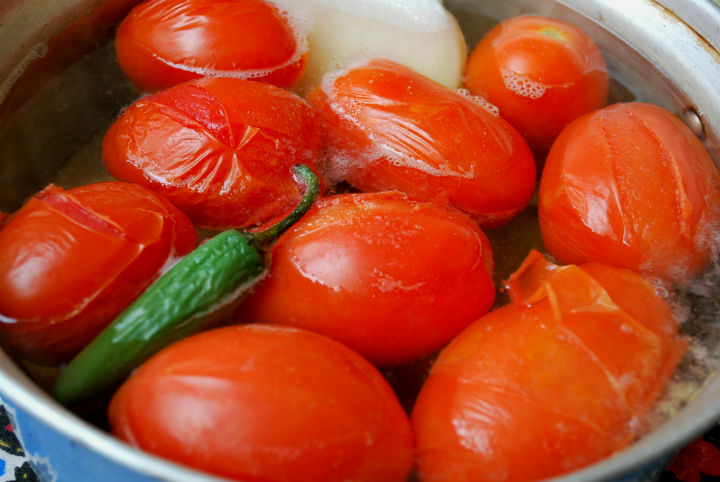 Bring water to a simmer and cook tomatoes until the skin starts to peel away. Once tomatoes are sufficiently blanched, strain water and set aside to cool. 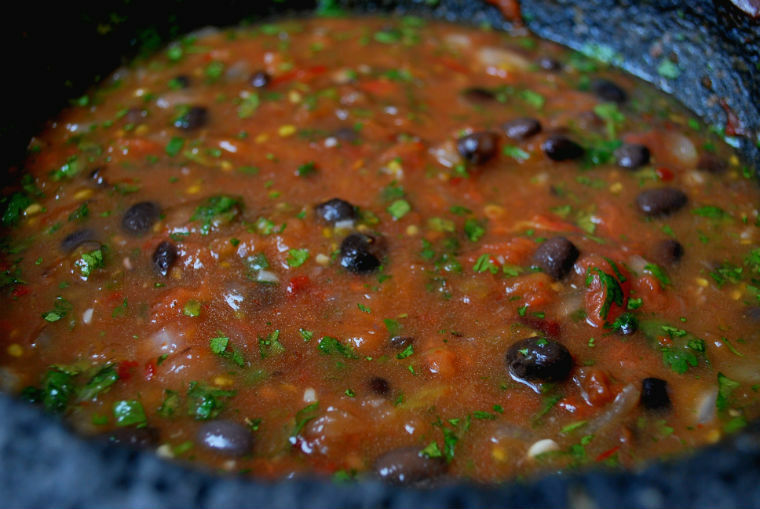 While the tomatoes and chiles simmer away, finely chop onion, chipotles, garlic, and cilantro. Juice your limes. Remove peels from tomatoes and place all ingredients (minus beans) in mortar and pestle or food processor. 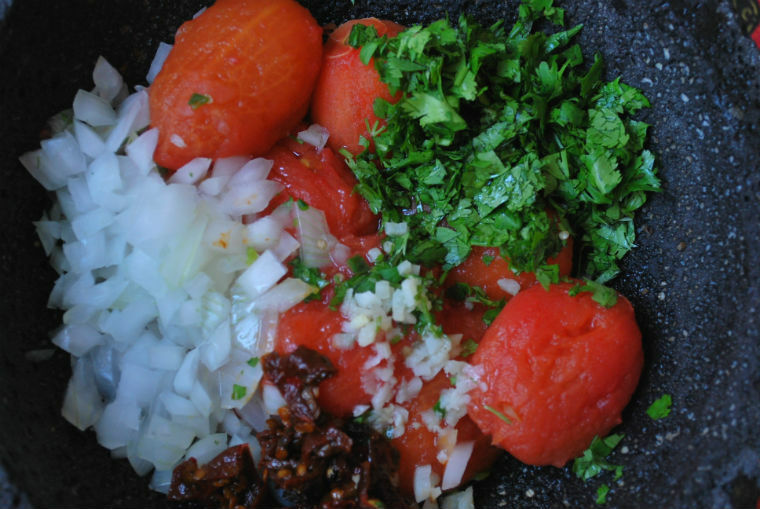 Macerate salsa to desired consistency. Stir in beans. Salt and add additional chipotle, lime, or chile to your preference. For the chips, preheat oven to 400 degrees. 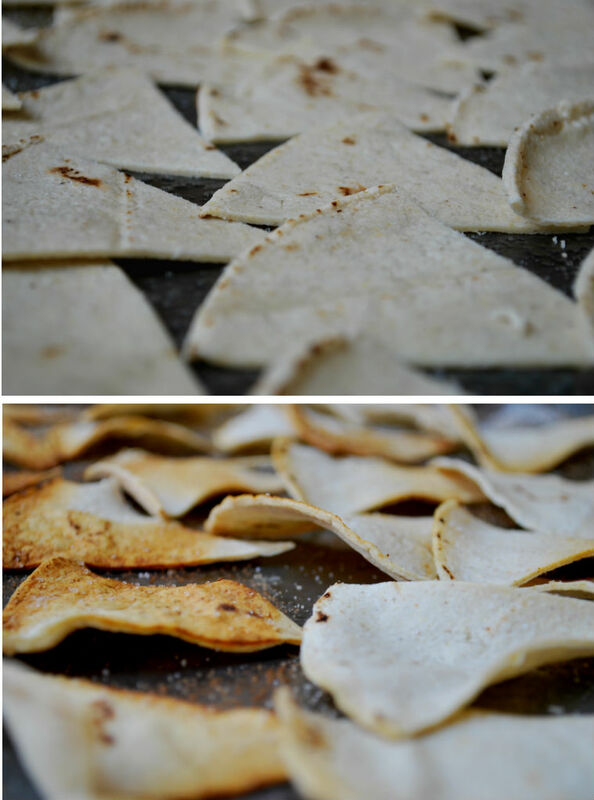 Arrange a small pile (6 at a time is the best I can do) of tortillas and slice into desired sized wedges. Arrange on ungreased baking pan. Spritz with fresh lime juice and sprinkle with salt. Bake until golden brown and until the chips are crispy throughout (about 10 minutes for me). The only thing left to do now is EAT! So, dig into a big pile of chunky salsa and healthy baked chips and enjoy! Looks awesome! I bake my own chips too–the easiest thing ever. You know it!!! So bloody good! Hi Janet! Thanks for the love and taking care of my mama. See you soon!